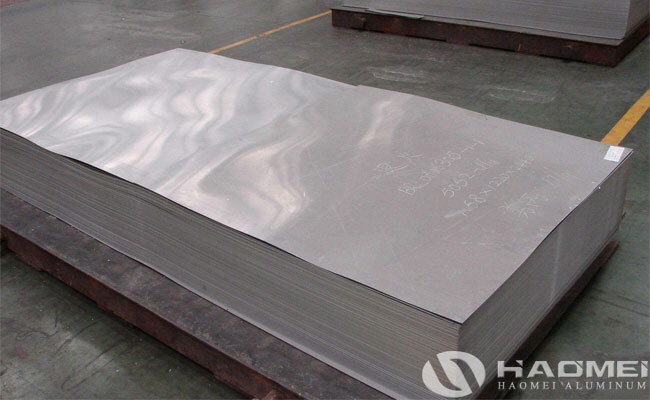 3003 aluminum sheet plate for building has good formability, high corrosion resistance and good weldability, and the building is one of the biggest application area of aluminum 3003. The 3003 aluminum sheet or aluminum 3003 is usually sued as the thermal insulation material, due to belongs to the 3000 series aluminum manganese alloy series, 3003 aluminum has good anti rust effect, so it is mainly used for pipes, building roofs and walls surface, such as aluminum composite panel, honeycomb aluminum panel, aluminum panel curtain wall, and so on. 3003 aluminum alloy building profiles are used to process aluminum alloy doors, windows, glass curtain walls and aluminum alloy hot extruded profiles for decoration, which are light, beautiful and durable, so we can see the 3003 aluminum profiles in construction and decoration industry. 3003 aluminum tread plate has great anti-slip effect, strong corrosion resistance, good anti-rust effect, good processing performance and excellent hardness, so it is widely used in work platforms, ships, vehicles, construction, etc., especially in load-bearing applications. 3003 color coated aluminum coil is common applied in the roofing system in building, 3003 aluminum sheet has moderate structural strength, easy to weld bending, at the same time, the material integrity can be guaranteed under different wind pressure conditions, so it is widely used in the maintenance system of many aircraft buildings such as aircraft terminals and railway stations across the country.